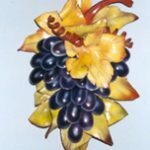 The Greeks wore them as diadems, Julius Caesar was crowned with one, Della Robbia made them in terra-cotta, and we now make them out of leather. 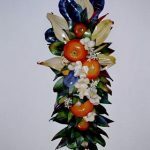 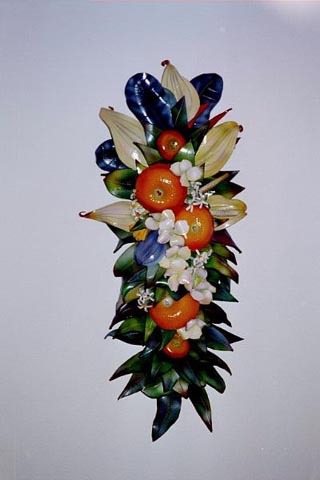 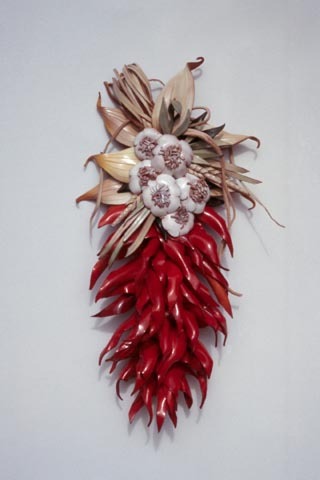 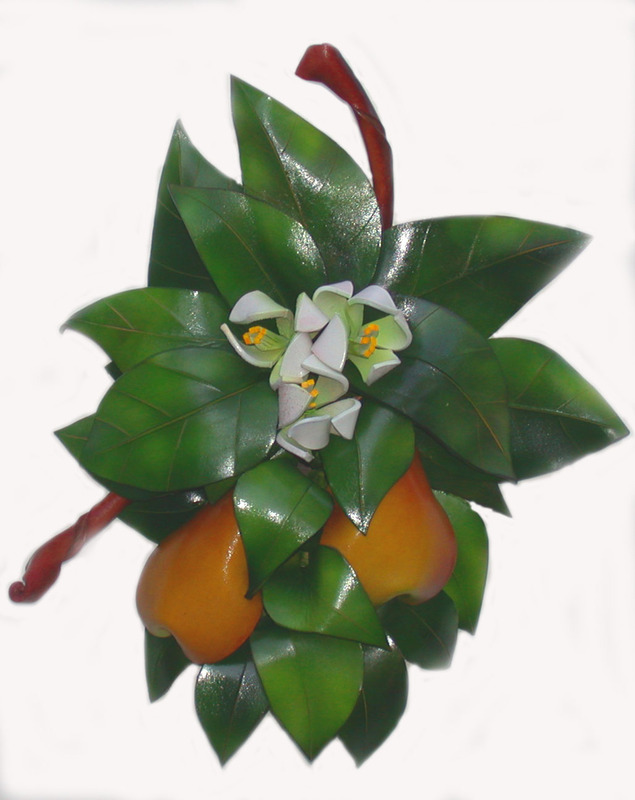 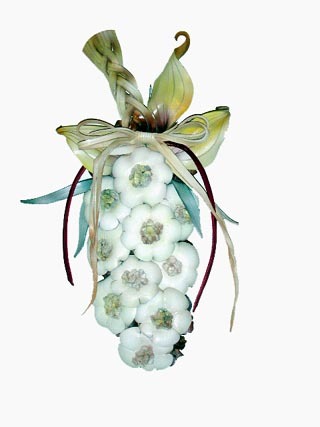 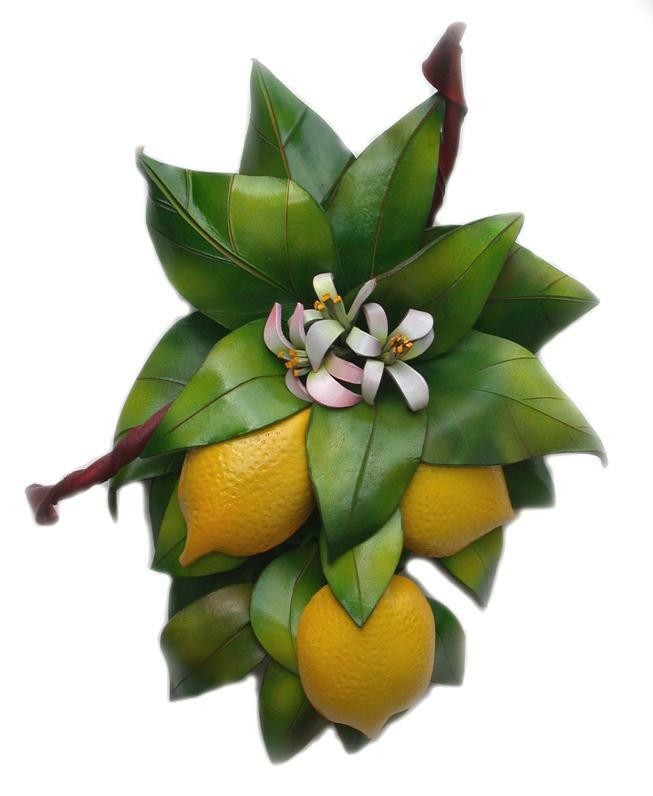 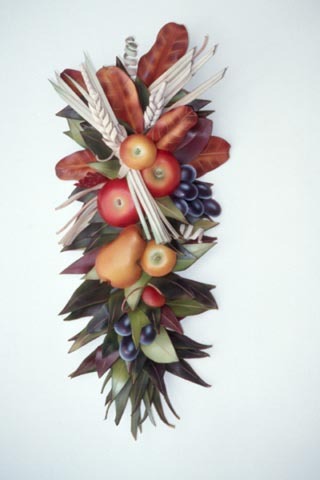 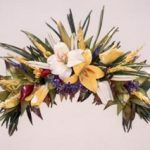 Garlands symbolize hospitality and are an inherent element of interior decorating and architectural detail. 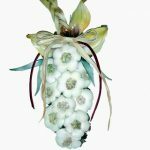 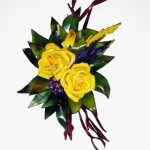 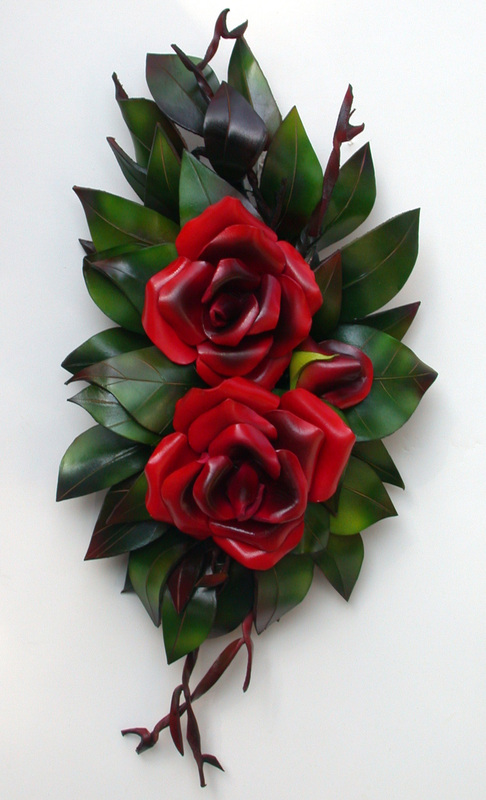 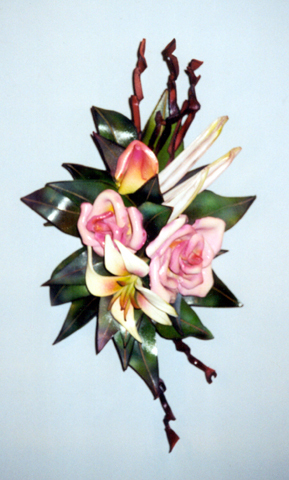 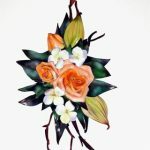 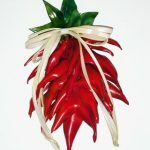 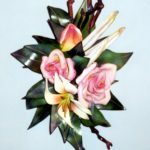 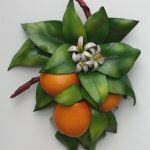 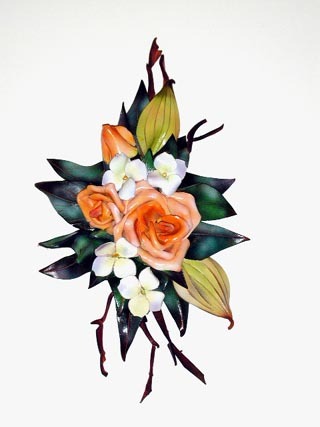 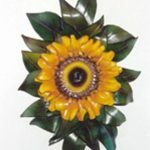 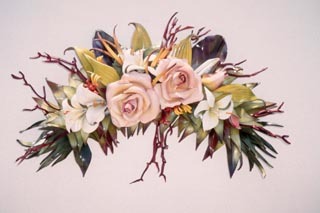 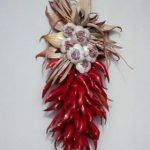 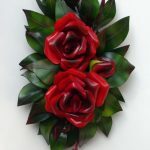 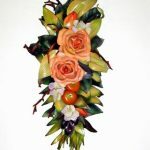 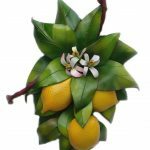 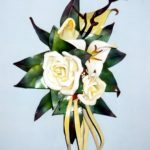 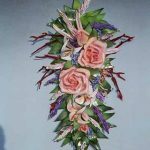 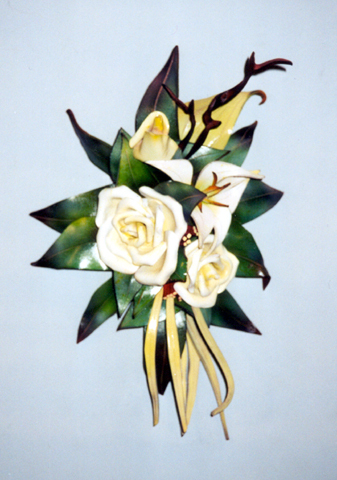 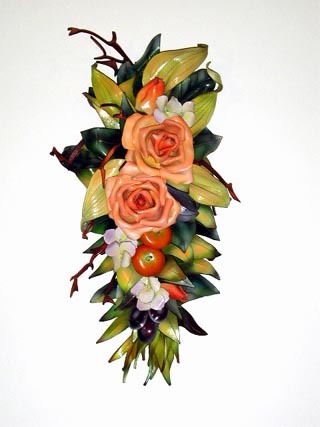 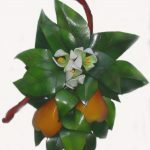 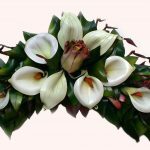 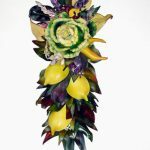 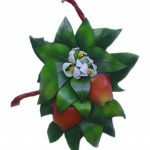 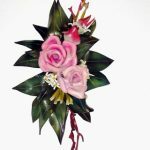 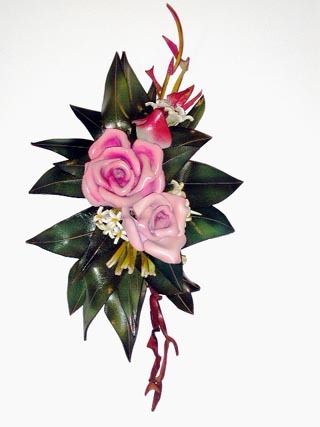 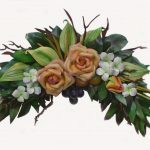 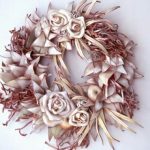 Our leather garlands are not only fine examples of original American craftsmanship, but they will far outlast the dried flower and synthetic models. 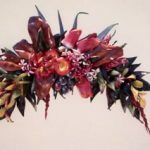 The construction, craftsmanship, and materials used make our garlands durable, water resistant, easy to clean, and, above all, spectacular in terms of both color and design. 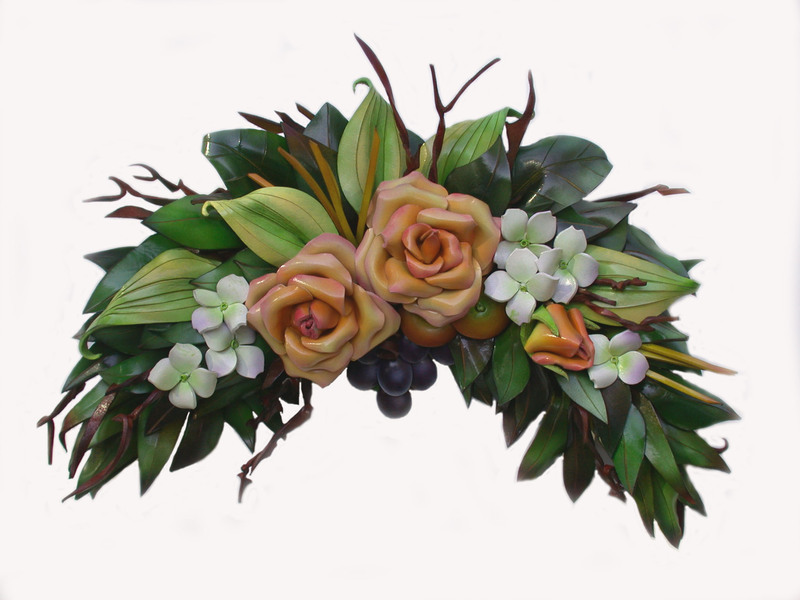 We are well known for our use of color, but we recently decided to give some of our GARLANDS a classical and muted look by applying only a hint of color. 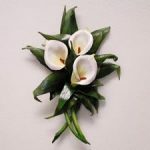 Not only does this emphasize both the form and the line, but the neutral palette tends to appeal to those customers who prefer classical architectural detail and/or a modern abstract look. 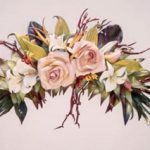 Appropriately, we call this new color range “NEUTRAL,” and designs currently offered in this color scheme are indicated by the asterisk (*) after their names. 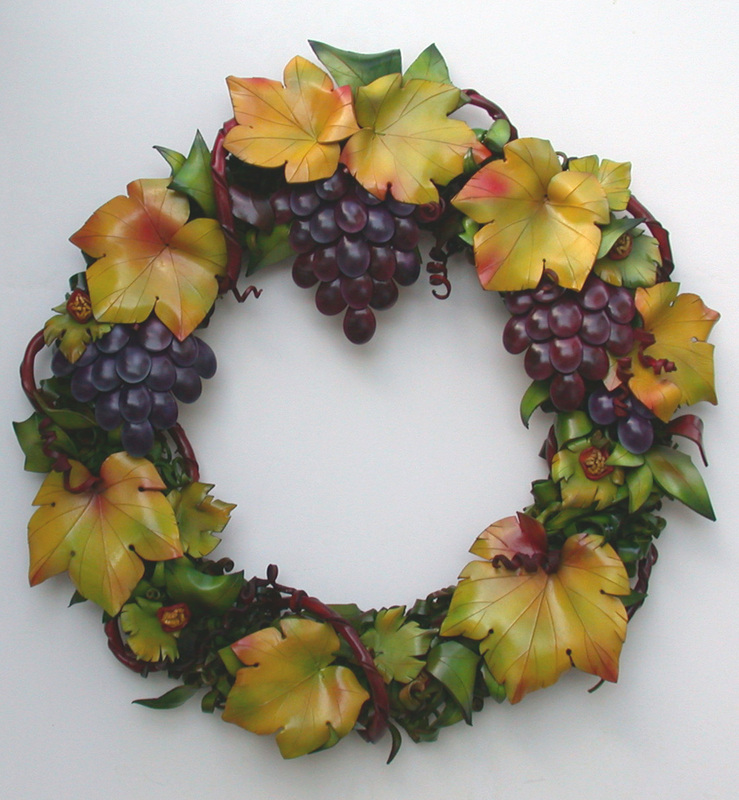 The grapes of wreath. 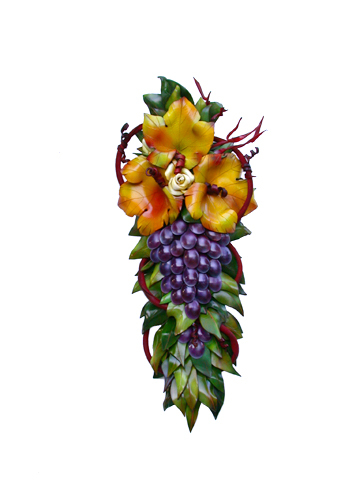 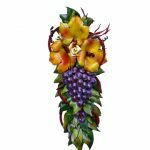 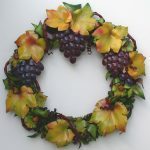 Variegated clusters of grapes, vine leaves, and twining stems make this our best seller for grape and wine aficionados. 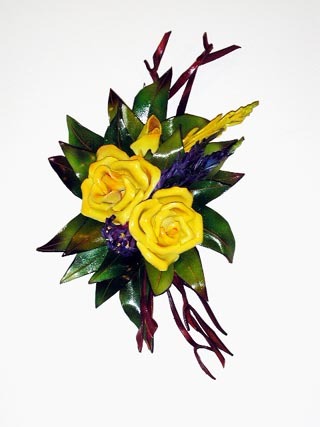 Large, $450. 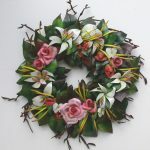 A vertical rendition of our best selling WREATH. 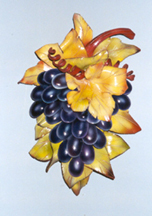 CA060, $250. 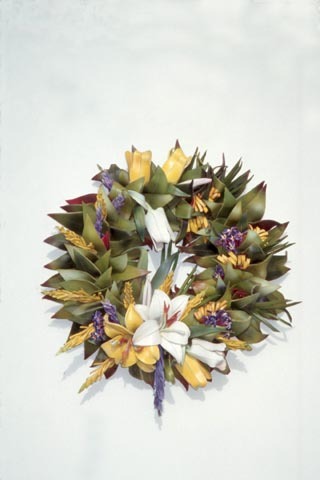 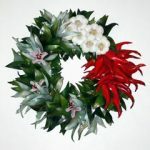 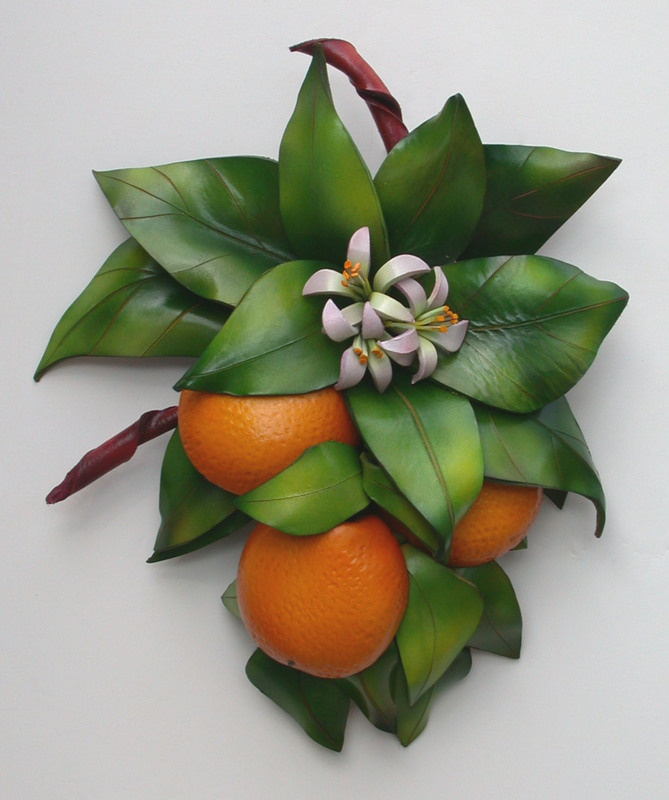 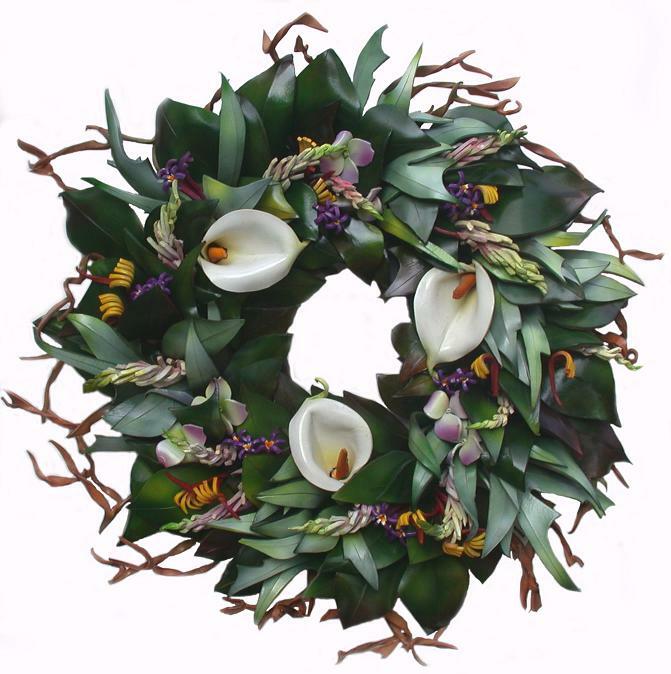 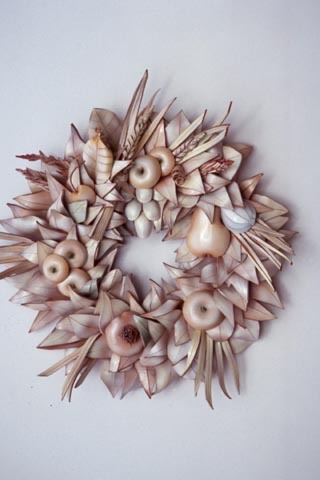 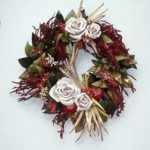 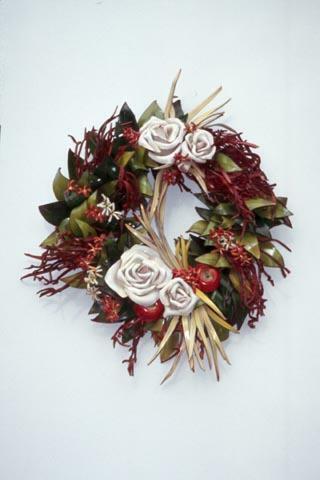 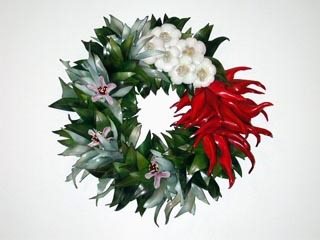 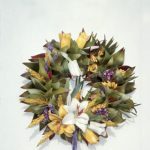 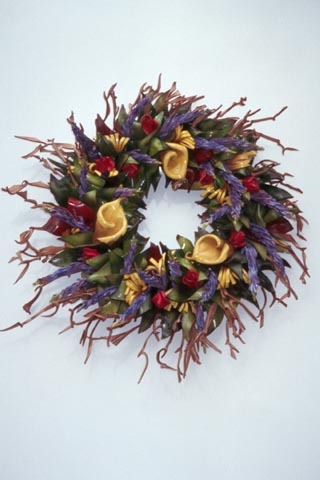 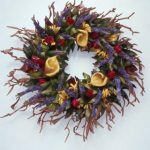 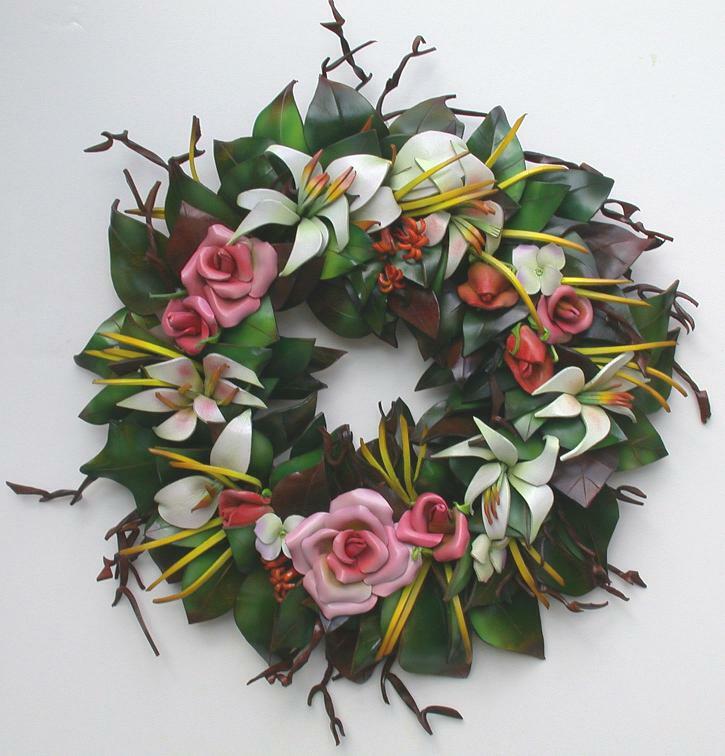 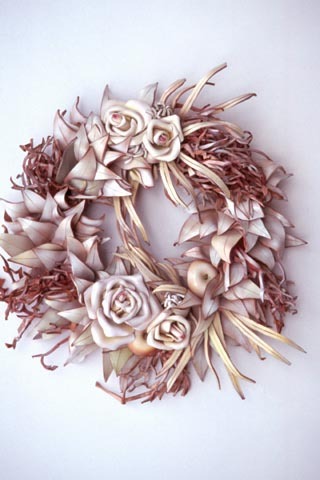 Size: Small Wreaths=19″ diam. 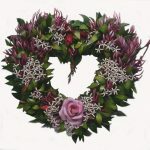 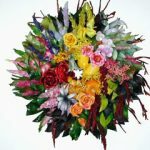 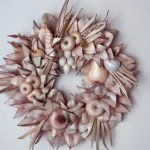 ; Large Wreaths=25″ diam. 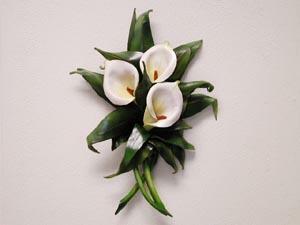 Swags=20×12″. 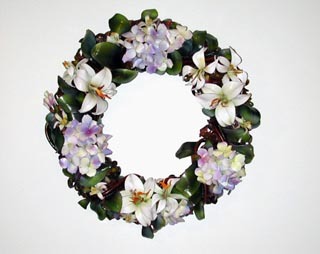 Mini Wreaths=14″ diam. 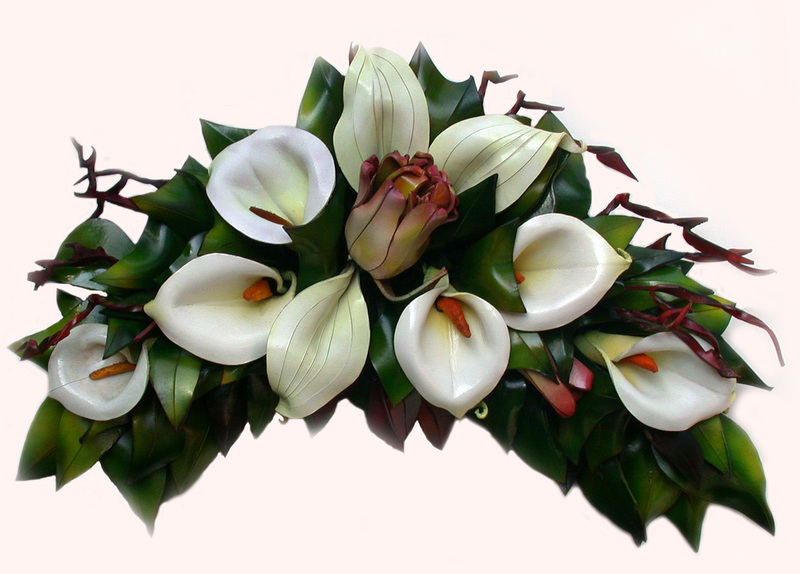 Cascades=22×10″. 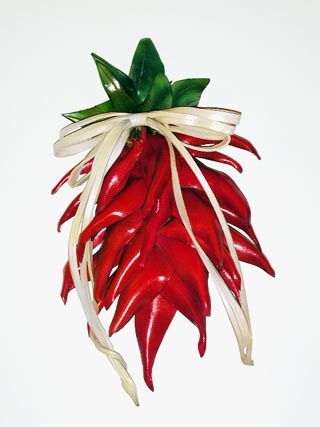 Weight 3-6 lb. 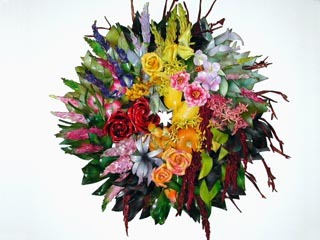 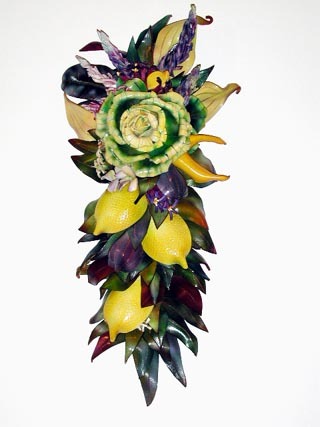 Posies=12×6″ (Ristras vary); average weight=1-2 lbs. 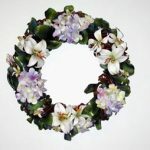 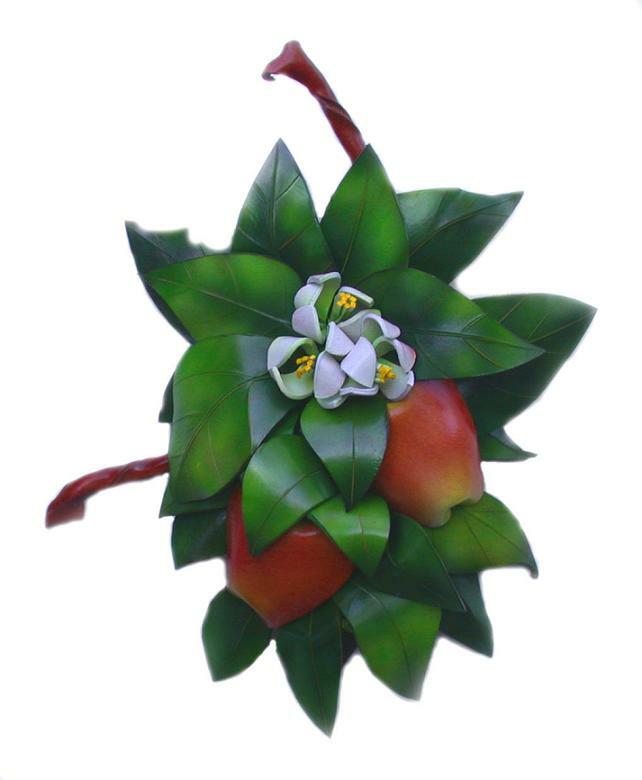 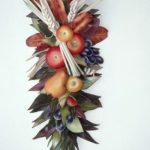 Each garland (except Posies) consists of over 125 pieces of vegetable tanned cowhide which have been cut, decorated, molded, dyed, and finished by hand. 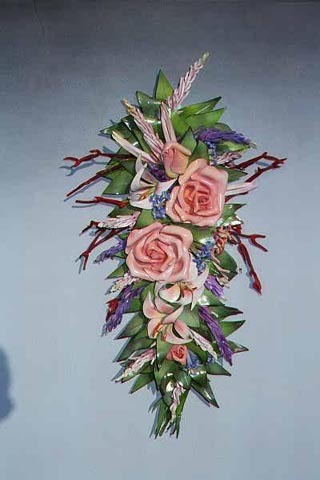 No two pieces are ever the same, due to the nature of the material and the inclination of the makers. 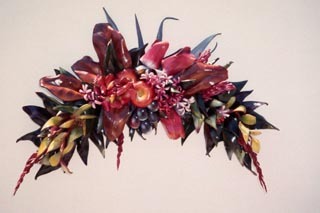 There is a 20% surcharge for specific color requests, and color swatches are required in such cases. 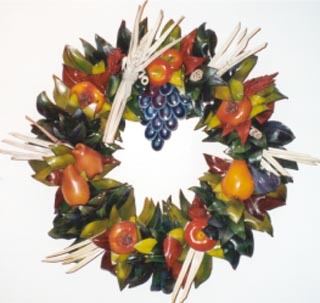 All garlands are constructed on a wire frame, and the back of each piece is securely bound. 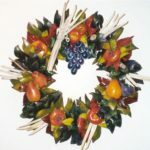 All garlands have at least 4 coats of acrylic finish, applied to both sides,which is water resistant. 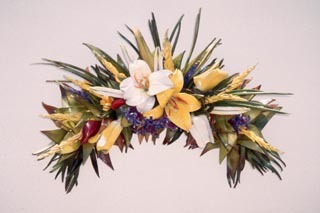 Garlands are easily cleaned with a damp cloth and/or a vacuum brush extension. 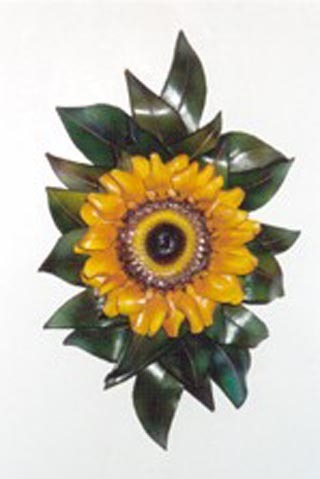 Avoid prolonged exposure to direct sunlight.